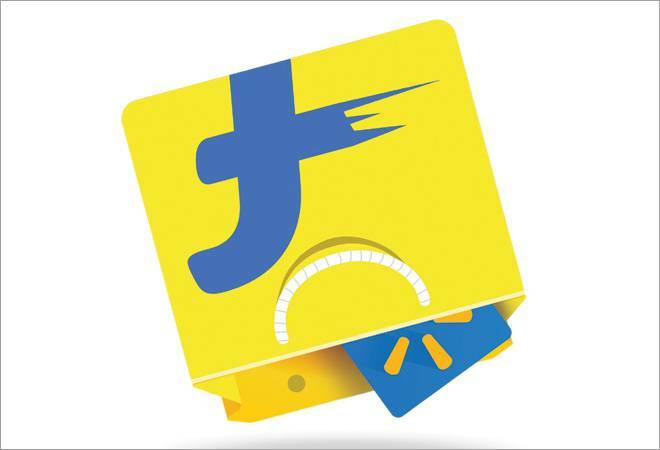 The news of the Walmart-Flipkart deal has set tongues wagging. It is expected to run into a tax tangle in India as experts predict that a Hutchison-Vodafone like scenario could emerge given that the Walmart-Flipkart deal will involve many overseas entities. In the $16-billion deal, US-based retail giant Walmart is buying 77 per cent in Indian e-commerce company Flipkart, in which a majority share is held by a Singapore-registered entity, Flipkart Singapore. Shares in this entity are, in turn, held by different investors - prominently, Softbank (almost 23 per cent), Tiger Global (20.5 per cent) and Naspers (13 per cent). Chinese firm Tencent holds around 6 per cent stake, while promoters Sachin Bansal and Binny Bansal together hold close to 11 per cent. The deal is being structured in such a way that some of these investors would transfer their shares to Walmart, thus creating a situation where most of the shareholders would be non-residents of India. Sample this: Softbank has invested $2.5 billion in Flipkart through its Jersey-based Vision Fund (its investment, reportedly, is now valued at $4 billion), while Tiger Global is a Mauritius entity. Even in the case of the Vodafone-Hutchison deal of 2007, the former acquired 67 per cent stake in Hutchison-Essar Ltd from Hong Kong-based Hutchison Group for $11.2 billion through a maze of subsidiaries based in the Netherlands and Cayman Islands. No tax was paid on this deal to Indian authorities owing to the overseas nature of the transaction. The pertinent question now is whether the capital gains made in the Flipkart share sale by non-resident investors are taxable in India or are we heading for another round of protracted tax dispute as seen in the Vodafone case? In 2012, the UPA government, through a retrospective amendment for which it received a lot of criticism, clearly defined the tax law provisions in case of such indirect share transfers. The law states that income arising out of transfer of shares of a company registered outside India is taxable in India if such shares derive substantial value - exceeding Rs 10 crore and representing at least 50 per cent of the value of all assets owned by the foreign company or entity - from assets located in India. Tax experts, therefore, are positive that Indian tax authorities have the right to tax this deal. "Even though the shares of Flipkart Singapore (a company registered outside India) will be transferred to Walmart, gains arising from such a transfer could be subject to tax in India considering that substantial value of such shares is being derived from India," says Rakesh Nangia, Managing Partner, Nangia & Co LLP, a chartered accountancy firm. Nitesh Mehta, Partner, Transaction Tax, Tax and Regulatory Services, BDO India, agrees. "Such transfers could be regarded as indirect sale of shares of Flipkart India and, accordingly, would trigger capital gains tax in India for such non-resident investors, subject to tax treaty benefits, if any, available to them." Nangia adds that as per the Indian withholding tax/TDS provisions, Walmart will be liable to deduct income tax applicable on payments made to seller non-resident entity while purchasing shares in Flipkart Singapore/Flipkart India. The tax rate for non-residents may vary from 10-40 per cent, depending on whether the capital gains are short or long term in nature. For unlisted shares, if the share is sold within 24 months, the gain arising out of it is considered short-term and vice versa. Although the question of jurisdiction of Indian tax authorities over this deal is more or less certain, the tax department is not taking any chances. Surabhi Ahluwalia, Commissioner, Income Tax, and the official spokesperson of the Central Board of Direct Taxes (CBDT), informed BT that the department has written to Walmart to "sensitise" them about the provisions of the law. The department has asked Walmart to come forward with the details of the deal, and has even offered advice/ assistance in calculating the income tax chargeable under Section 195(2) of the Income Tax Act. Walmart is yet to respond to the tax department's queries. There is also uncertainty arising out of the different tax treaties that get triggered by the deal. Views from experts are divided on this matter. While most of them say that the deal would come under the Singapore Treaty, L Badri Narayanan, Tax Partner in law firm Lakshmikumaran & Sridharan, offers a different view. According to him, since Softbank US and Tiger Global, Mauritius, are selling their holdings in Flipkart Singapore, the Indo-US and Indo-Mauritius treaties would come into play and not the Singapore Treaty as there is no change in Flipkart Singapore's holding in the Indian subsidiary. "The US Treaty says that capital gains arising from the transaction should be treated as per the domestic law of the individual state, which effectively means that Indian law would be applied to the transaction. However, it is the Mauritius leg of the transaction involving Tiger Global's sale of its holding in Flipkart Singapore that could lead to some ambiguities," Narayanan adds. There is further complication because different treaties have different rules for taxation of capital gains, and different rates and conditions for availability of treaty benefits. Singapore and Mauritius treaties offer some exemptions in case of long-term capital gains, provided taxpayers fulfil requirements under the limitation of benefits clause. Under the Singapore Treaty, benefits are available only if the tax resident has an annual expenditure on operations of at least $200,000 in Singapore for each of the 12-month period prior to the date of such gain. Under the Mauritius Treaty, benefits cannot be availed if an entity's expenditure on operations in that state is less than 1.5 million Mauritian rupees in the 12-month period preceding the date of the gain. Many of these requirements were put in place after the recent amendments of the tax treaties with Singapore and Mauritius. The amendments did away with the capital gains tax exemption for any investments made after April 1, 2017, from these countries. Amit Maheshwari, Partner, Ashok Maheshwary & Associates, says that some of the investments made before April 1, 2017, could be grandfathered. However, that would be subject to satisfaction of limitation of benefit conditions. The General Anti-avoidance Rules (GAAR) provisions, which give the tax department the power to deny tax treaty benefits if a deal was made in friendly tax regimes - if it believes the deal was done through such a regime purely for tax avoidance - may also come into the picture. An income tax official said, on the condition of anonymity, that GAAR provisions should prevail, but it would depend on the way the deal has been structured. The tax liability arising out of the Flipkart-Walmart deal is difficult to ascertain as the deal could be structured through a complex web of subsidiaries and holding companies. But their tryst with the tax department in India is not likely to be smooth, as authorities, who now know better, will be keeping a close watch.